Rockstar Neil Young has brought a heated debate to a boil. The Canadian musician is doing a benefit tour across the country to support First Nations communities in their fight against oil sands development. When it comes to environmental issues, Young says the Canadian government is "completely out of control." The rockstar – a vocal oil sands opponent for some time now – visited oil sands sites and says it's "one of the ugliest things [he's] ever seen," the Toronto Sun reported. Young's condemnation of the multi-billion dollar industry has roused the Federal government, with the Prime Minister's Office coming out in defence of the oil sands. "Even the lifestyle of a rock star relies, to some degree, on the resources developed by thousands of hard-working Canadians every day," Jason MacDonald from the PMO's office said in a statement, as reported by the Huffington Post. "Our government recognizes the importance of developing resources responsibly and sustainably and we will continue to ensure that Canada's environmental laws and regulations are rigorous." Young fired back saying that in fact, no, "rockstars don't need oil." The back-and-forth sparked a war of words on the Twittersphere. 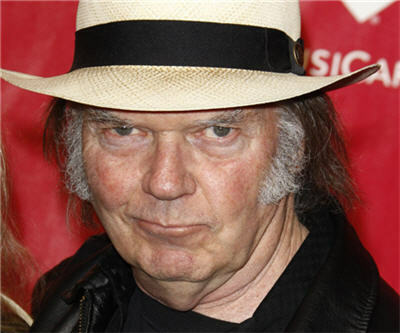 How long before @JustinTrudeau appoints #NeilYoung as special advisor to #Oilsands. After all celebrities are in awe of each other.